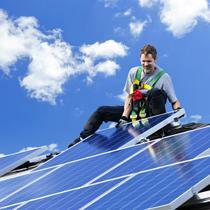 Solar Photovoltaic (PV) panels are an excellent source of cheap green energy over the long term. Generating electricity directly from sunlight is not only carbon friendly but will also help you to save on your energy bills at a time when conventional fossil-fuel based sources of energy are escalating in price. Furthermore even on cloudy days the panels will still generate electricity as they react to light and therefore it is not necessary for the sun to be visible for the panels to work. 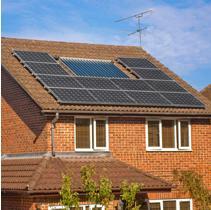 PV systems are also easy to install which is particularly true with regard to those systems linked to the national grid. Solar panels for your home will typically cut down on carbon emissions by 1.2 tonnes of carbon dioxide per year. It will also help to supply around 50% of the energy demands of an average household. Most solar PV installers will provide a free consultation so that you can get a good idea of what systems are available before you sign up. According to one Irish website, the most popular solar PV systems being installed in Ireland at present use German made products and are fitted by highly experienced installers however a great many of the Chinese products are worth investigating as well, for the simple reason that although they are cheap many of them nevertheless are still fairly efficient and therefore good value for money. If your budget can accommodate it, it is also a good idea to look at some of the outstanding panels from electronics giants such as Sony, many of which are extremely efficient, very reliable and are covered by excellent guarantees. In most cases solar PV systems are covered by guarantees of about 25 years during which they are expected to operate at least 90% of their stated output, but these vary from company to company so you should investigate these before you buy. You also need to check that the panels are covered by certifications such as the MCS (Microgeneration Certification Scheme) and that the installers are also certificated accordingly. A major difference between the solar PV market in Ireland and PV markets elsewhere is that at present Ireland doesn’t have a workable Feed-in Tariff Scheme (FiTS). This is unfortunate since FiTS, in virtually all countries that have introduced such a scheme, has really helped stimulate the market. Even given the highly visible controversy over the UK tariff rates, the British FiTS has really helped to encourage people to switch to solar energy, both as individuals and within their communities. There are many community schemes for example, such as those set up by schools, churches and local authorities, which have been really successful and helped to benefit the people in their communities. This would not have been possible without Feed-in Tariffs. In Ireland, Feed In Tariffs (FiTS) were introduced for all forms of micro-generation in 2009 being known as Renewable Energy Feed In Tariff (REFIT). The rate was set at a rate of €0.19 per kilowatt hour (kWh) but REFIT was limited to the first 4,000 systems installed up to 2011. Consequently, not only has the Irish system failed to really get off the ground, it has also resulted in a depressed PV market in Ireland. In short, the lack of a tariff system in Ireland is holding back the market, a market that will not see growth until a proper buoyant tariff system is introduced. As for costs, in most cases, in Ireland and elsewhere you will need to obtain quotes from a number of installers, however expect to pay as an initial outlay between €14,000 and €22,000 for a decent system. 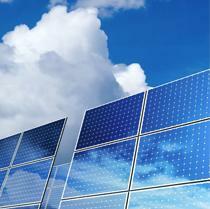 Have you gone to Solar Power for your home? 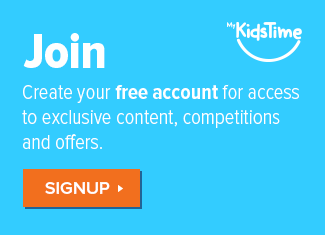 Have you any tips for others who may be considering it? Share them with us in the comments below.